​​​​The Giants shock victory of the 17-0 New England Patriots is arguably a bigger upset than even their cross-town rivals Jets' victory over the Baltimore Colts. The contest was a slow-burning affair, which stood at 7-3 in the New England Patriots' favor at halftime. Many had expected the undefeated Patriots to score in excess of thirty points at the very least such was the sheer power of their offense. However, it was the Giants who went out in front 10-7 early in the final period, causing the first sense of concern to creep along the Patriots' sideline. Tom Brady would drive his team down the field though, and from 6 yards out fired a pass to Randy Moss in the end zone. With time running out, it was now 14-10 in the Patriots favor. 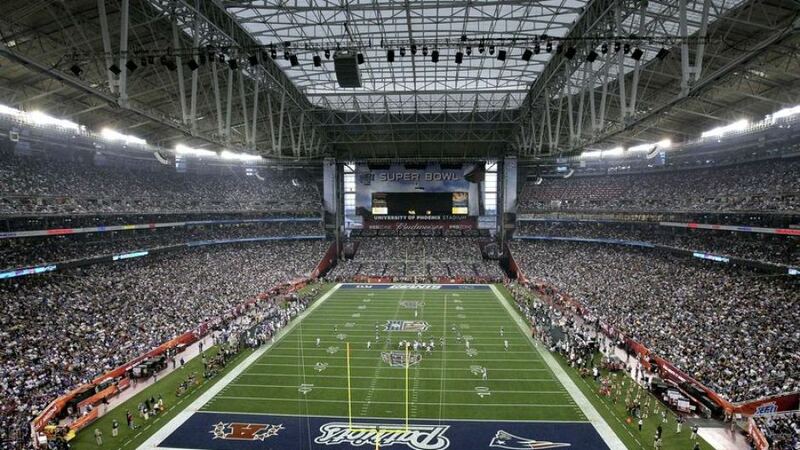 What followed was a drive that contained one of the greatest plays in Super Bowl history. Stepping back to pass with the Patriots pass rush closing in on him, quarterback Eli Manning escaped a sure sack, spun out of another potential hit, and fired the ball seemingly randomly down the field. 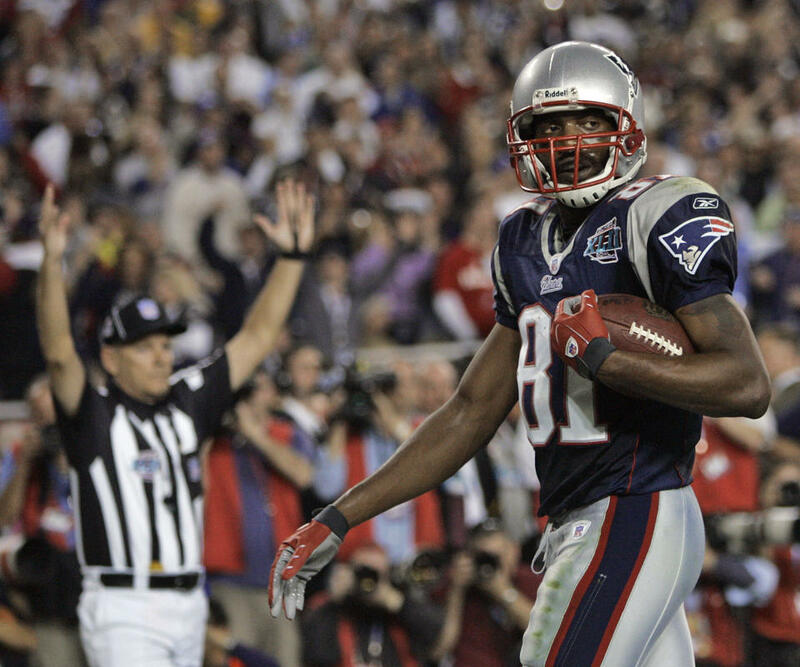 Wide receiver, David Tyree reached up to grab the ball, and with a Patriots' defender hanging off his frame, stuck the ball to his helmet with his hand, allowing him to hit the ground and control it for the reception. 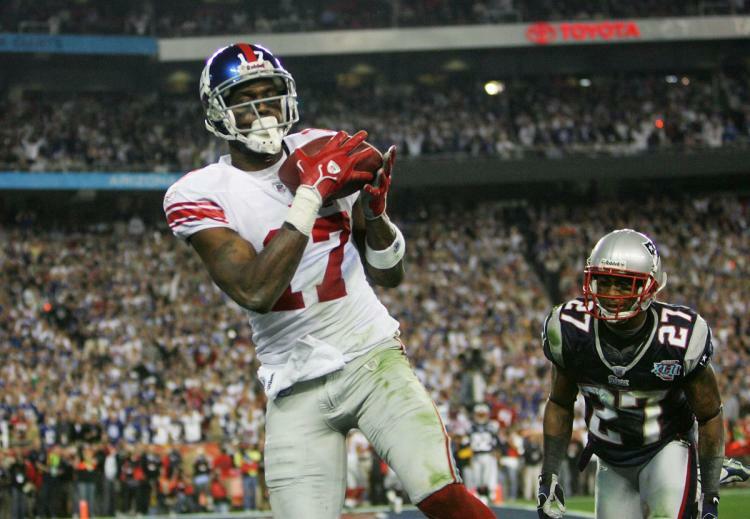 Shortly after, Eli Manning, on his way to an MVP award, lobbed a pass to receiver, Plaxico Burress, who came down in the corner of the end zone to give the Giants the lead 17-14 with only seconds remaining. 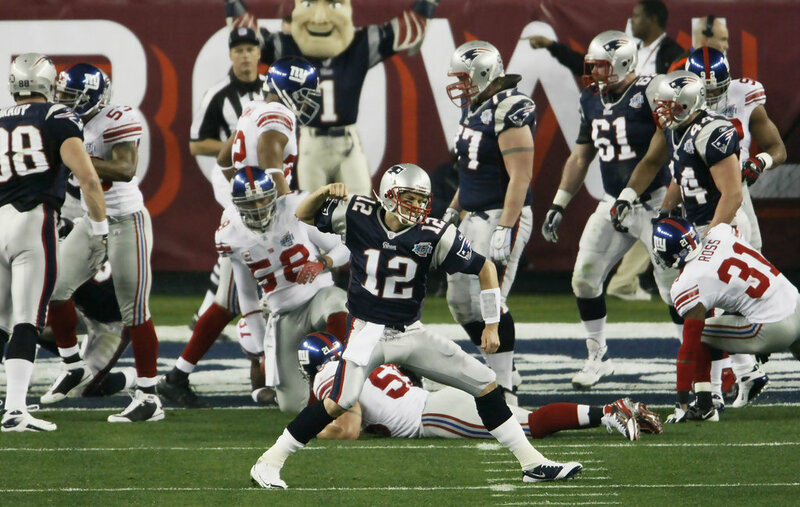 The Patriots would launch several last ditch pass attempts towards the end zone, but the New York Giants had achieved the unthinkable, stopping the Patriots "Perfect Season" and winning Super Bowl XLII in the process. 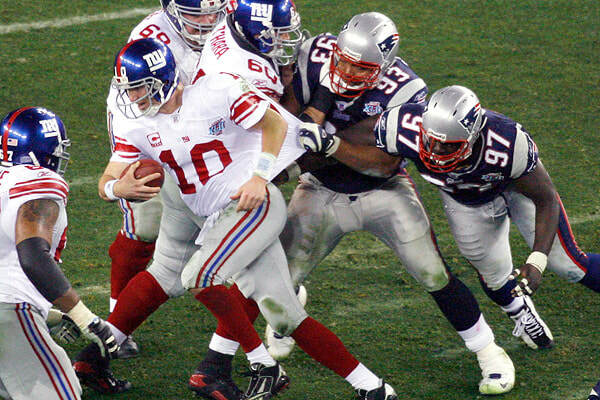 Super Bowl XLII was the only defeat the New England Patriots suffered throughout the entire 2007 campaign. Needless to say, they were heavy favorites entering the contest.